Now that I’ve got the venue out of the way, I’m trying to get started on the rest of my wedding planning. I feel like it’s still quite a long time away (15 months and counting!) so there’s plenty of time to get my arse in gear, but when people ask me how the plans are coming along, I do panic slightly… We’ve been engaged for over a year now so there’s been a lot of time to think about things, but now I need to execute some plans and unleash the planner in me. My bridesmaids have always known that they’re going to be bridesmaids, but I wanted to do something special for them to show how much it means for them to be asked. I didn’t want to do the whole balloons, confetti thing as that would be messy and probably a lot to post! I wanted to keep costs down as there are four of them (and two flower girls) and didn’t want to do anything too extravagant. 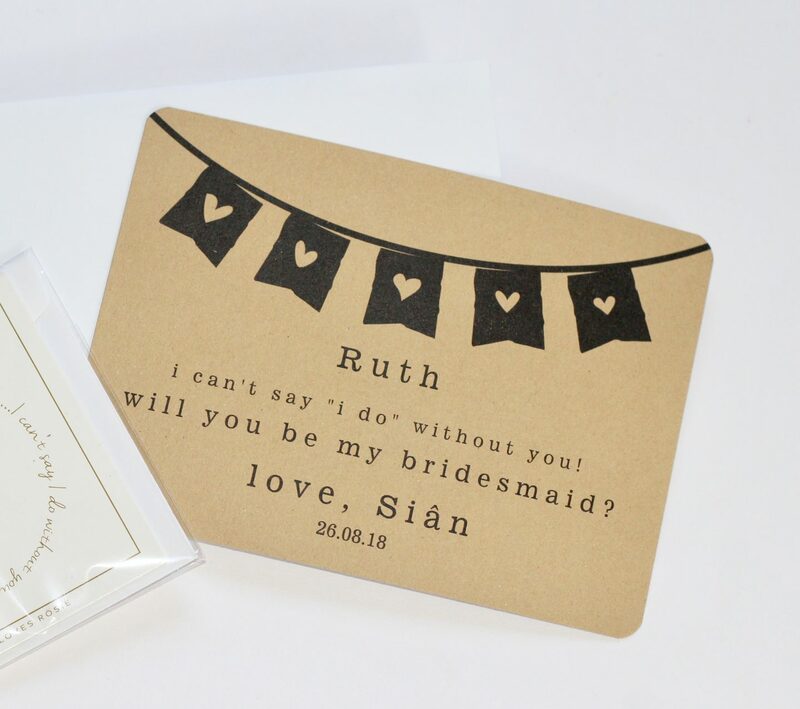 I opted for a nicely designed card and a small gift which I loved, so hoped they would too! For my flower girls, I decided a simple bracelet would do and would be something they could wear on the day as well. The cards were custom-ordered from Zazzle and whilst I loved the design, the postage was ridiculous. They took nearly a month to arrive and when they did, one of the envelopes was missing, so not a great start. I was happy to have them though as my handwriting is so awful, the girls wouldn’t have understood what I was trying to say! I kept the design quite neutral – using canvas and textures rather than going for brights. It’s a popular theme really but it’s so simple and classic that I love it. 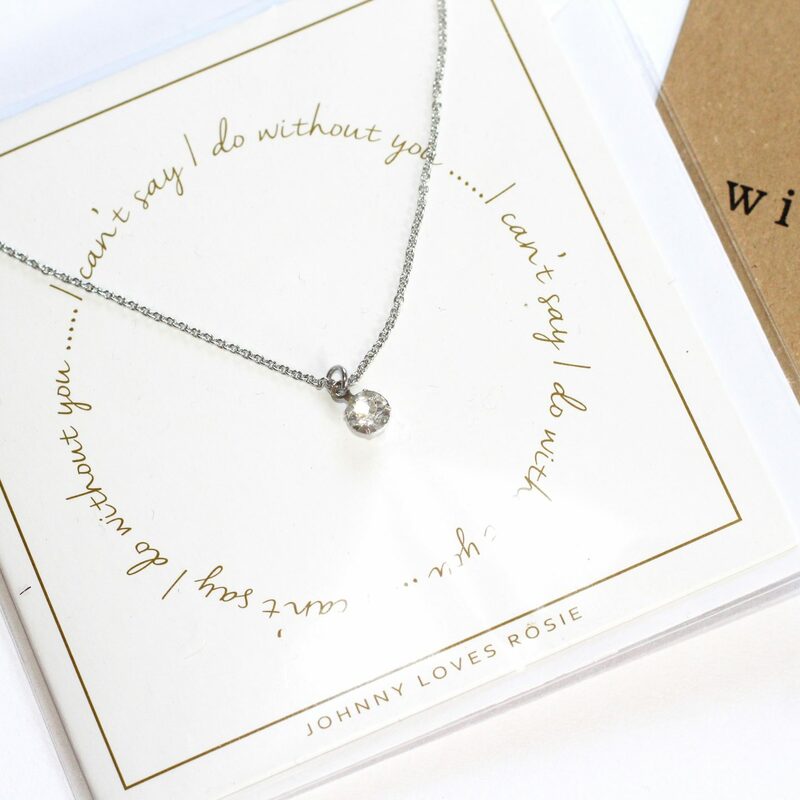 The bridemaids’ bracelets were from Johnny Loves Rosie – a great brand I’ve loved for years. 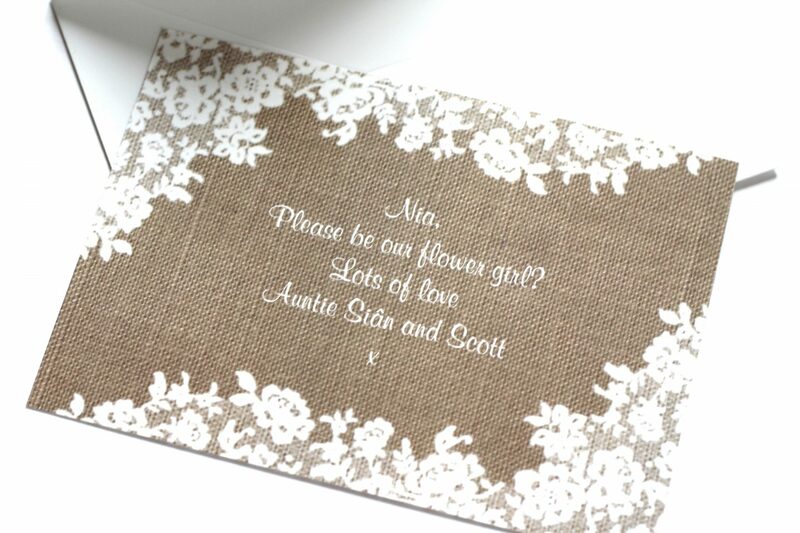 They make lots of thoughtful little gifts as well as some fantastic floral wedding accessories. They were quite simple in design, silver with a single gemstone – but I thought they were quite a chic gift really, and something they could wear with anything (the classic bridemaid mantra…Yes, I know how that sounds). 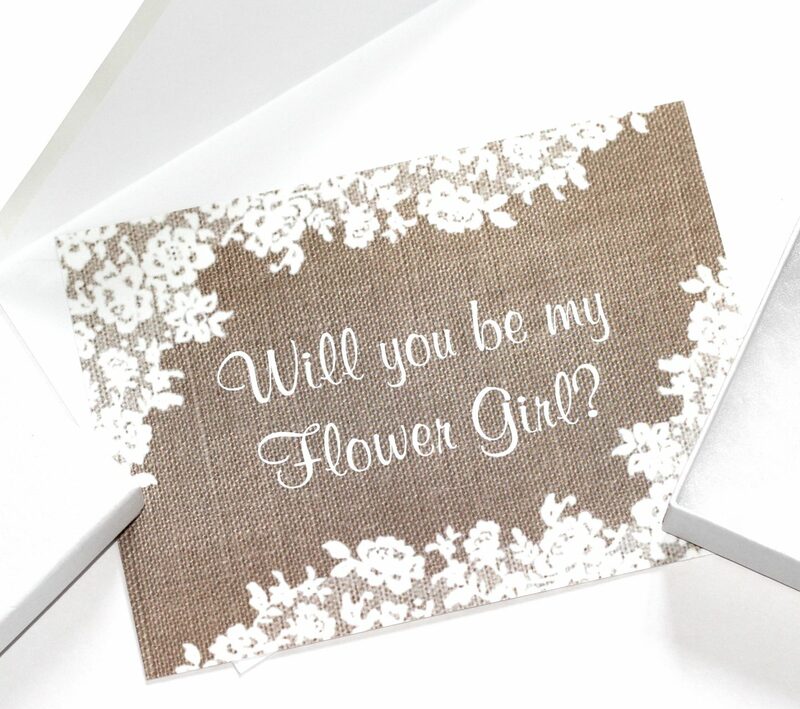 They have a lot of great stuff on their website which make excellent gifts for bridesmaids, flower girls and bits for the bride too. 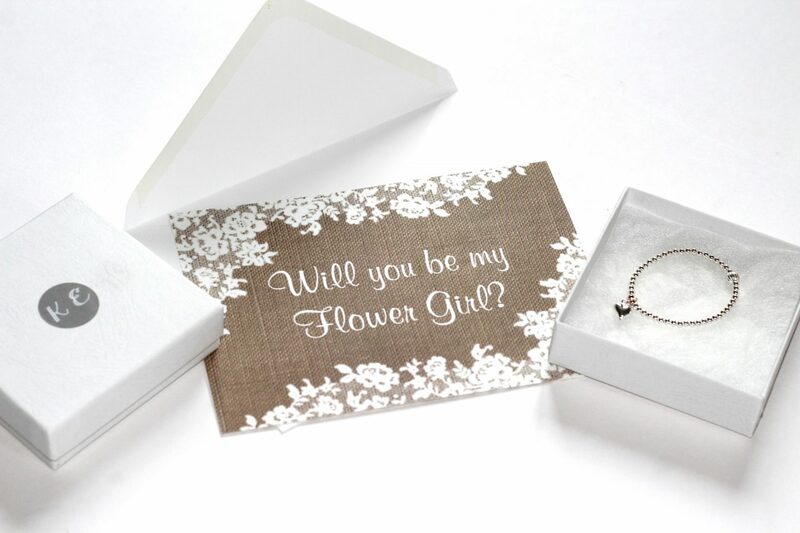 For the flower girls, I had their bracelets custom-made by Kate Eleri Jewellery. I knew Kate when she lived in Cardiff and I’ve loved seeing her launch her jewellery business recently, and couldn’t resist the cute Instagram pictures. Kate makes her own silver and rose gold jewellery with various designs available. She offered me lots of different options and in the end I decided on these gorgeous heart charm bracelets which she fitted for the right ages. They’re so dainty and pretty, and my two nieces loved them. They’ve got a bit of stretch in them as well so I’m hoping they’ll be able to wear these for a few years yet. I liked the idea of having something handmade and was absolutely thrilled with these. Take a look at her stuff on Instagram and Facebook to see her lovely designs and to chat to her about options! I think it’s easily possible to plan something simple but special to show your squad how happy and excited you are to have them be a part of your big day. I wanted to be able to give them these in person, but most of the girls live towards London so it was just easier to post them (plus it’s always nice to receive mail that a) isn’t a bill and b) isn’t something you paid for!). I gave my nieces theirs in person. The oldest was excited but the youngest is too young to know what’s going on! Now that my squad is assembled, I can’t wait to move onto the next stage of the plans! Will be sure to keep you posted!